There is a common misconception out there about author platforms. Many fiction authors seem to think that author platforms don't apply to them. There is this notion that platforms are only relevant to nonfiction authors. But that's far from the truth. While the fiction author's platform might be different than their nonfiction counterpart's, an author platform will still help a novelist sell more books, and it is still possible to start building that platform even before publishing a first novel. Before we get into some specific things you can do to build your fiction author platform, let's touch on a couple of important points. Who Needs an Author Platform? You Do. Don't buy into the "well so-and-so didn't need a platform, so neither do you" line. I see this all the time from writers who think they shouldn't have to do anything but write. That is not the reality in the publishing world right now. And the authors they mention often had something else going for them whether that was luck or good timing, connections you don't have, or far fewer books in the market competing for readers' attention (why it makes no sense to make that argument based on authors writing 50+ years ago). You aren't just an author anymore. You're also the best marketer of your books. And having a solid author platform helps with that marketing, leaving you more time to write in the long run because your platform continually works for you. Does it take time to build an author platform? Absolutely. But it doesn't have to take as much time as you might think. While you'll ideally keep growing your platform over the years, in large part due to your future books, you can build a platform that helps your writing career without building an audience of tens of thousands of people up front. Your platform-building work will continue indefinitely. But much of that effort actually goes into your writing itself, especially after you've done some up front planning to build your visibility and network. Don't confuse your author platform with the tools used to build it. First understand what an author platform is. Then pick the tools that make the most sense for you. You do not have to do everything. Trying to do so can hurt you more than it helps. At the same time you shouldn't focus on just one thing -- like your author blog -- and expect it alone to help you build an audience of ready and willing readers who can't wait to get their hands on your next book. Your author platform is all about building your visibility, trust, and an eager readership. Even before you publish a novel, you can start building those things by publishing short fiction. Submit short stories to magazines. 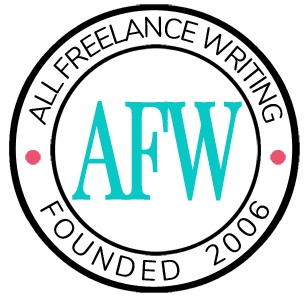 Submit flash fiction to websites focused on your genre. Sell your short fiction on Amazon. Focus on getting your stories out there to give your target audience a taste of what they can expect from your longer works later. In nonfiction publishing your blog gives you a place to showcase your expertise in your subject matter. As an author of fiction your subject matter might still be important depending on your background. For example, let's say you want to pitch a novel to a publisher. Let's also say that novel is designed to kick off a crime series that happens to be forensics-heavy. You've spent twenty years working as a forensic specialist, crime scene analyst, or some other relevant job. You might start a blog on that topic, targeting people with an interest in forensics who might also be members of your series' target market. By showing your expertise in that subject matter and building an audience of interested readers, you make yourself more attractive to publishers. What if you don't need to show expertise related to your novel or series? Then you can use your blog to start making connections in your genre or in the larger publishing industry. You can also use your blog as a platform to share those shorter works of fiction that I mentioned previously. Remember, the more effort you put into building your blog readership early on, the better your blog can serve as a marketing tool and launch vehicle for your book or e-book when it's ready for release. It also serves as a tool in helping you to better understand Internet marketing and search engine optimization (SEO), both of which can later help you promote your books online. Often when you hear someone talking about building an author platform, they leave out the issue of networking (perhaps because they don't see the connection and consider it something altogether different). But with any kind of product release, including a book, who you know matters. That makes building your professional network a vital part of building your author platform. Your reach is extended by the reach and influence of the people you know. Members of your network can lend credibility to you as an author through blurbs, book reviews, or recommendations to their own readers. Your network opens doors for you when planning virtual publicity tours (such as guest post opportunities). Members of your professional network can take part in launch partnerships or joint ventures. While this has been common for a long time in business e-publishing, it's a neglected pre-launch marketing strategy among fiction authors. Partnerships can involve things like being featured in a partner's newsletter, having them run giveaways for you, or having them contribute "extras" as giveaways for buyers during your launch period (most effective if you'll also be selling the book on your own website). It's never too early to start building your professional network. Just remember, while it's good to get to know other authors, you shouldn't focus all of your networking on them. You'll be bombarded by their own promotional messages when your real goal is to learn and build connections that can help you in the future. Don't neglect networking directly with your target readers and other industry professionals. I see many authors using social media in ineffective ways. And then they wonder why their social networks aren't driving the kind of sales numbers they were hoping for. The problem is that it's easy to turn to spamming on those platforms, even if you don't mean to. If most your tweets are plugging your book, sharing reviews of your book, etc., then your stream looks like spam to your friends or followers. That's not how you want to build your fiction author platform. Instead of focusing on direct promotional value to yourself, turn your attention to providing value to your followers. The more people care about what you have to say, and the more they trust you, the more likely they are to buy your books or something you later recommend. You build that trust by giving followers what they want. Tweet micro-fiction or serialize other short fiction on Twitter. Post flash fiction to Facebook. If you plan to publish traditionally, use LinkedIn and other social networks to start making professional connections (editors, agents, publicists, etc.). Whether you plan to self publish or publish traditionally, you can also take part in discussions about things like book marketing there -- an area where authors should always try to improve and learn new things. Be active in book-related discussions that center on readers in your genre (sharing book recommendations, genre-related news, and other interesting links your future readers might care about). These are just a few examples of things you can do to build your fiction author platform even before you publish your novel. Do you have other ideas to share? Leave a comment and tell us how you're going about building your own platform and what you hope to get out of it. I’ve been trying to figure out how to build my author platform. I struggle because I write in different genres, e.g., children’s picture books and personal development. I’m a screenwriter too. I’m trying to figure out how to package all of this together. Or do I separate all genres? Sigh. It’s kind of overwhelming. I’m in a similar position Amandah — three fiction pen names, plus my nonfiction work under this name. My strategy is to build a separate platform for each. It’s a lot of work, but if you streamline things, you can make it work. I wouldn’t try to combine them unless you’re targeted very similar audiences. 1. Use a tool like Hootsuite or TweetDeck to monitor multiple social media accounts from one place. 2. Choose a primary platform to focus on, and keep everything else on a smaller scale, especially early on. For example, my primary platform is based around my nonfiction work. It’s my platform when I write as “Jennifer Mattern.” So I have more social media profiles under that name, where I might only have one or two for each pen name. I’d choose one platform to start with and branch out from there. I also don’t keep my pen names completely private. That will allow me to use this platform to help promote the others wherever there might be overlap. Just don’t try to do too much too soon. Have a plan in place. Put together a schedule of regular promotional activity. And work from there. Excellent article, Jenn. too many writers in general and authors in particular consider platform-building too much trouble. Then they wonder why they don’t sell. The big benefits of your platform: you’re not alone, and your readership keeps you motivated to produce more words. Building a platform doesn’t take that much effort. Tweeting is a good way to take a break, and see what others are doing.